Well it’s been pretty quiet on the blog lately, so I figure I should fill everyone in on whats been happening over the last month with Jaxson. January was a total write off for us. 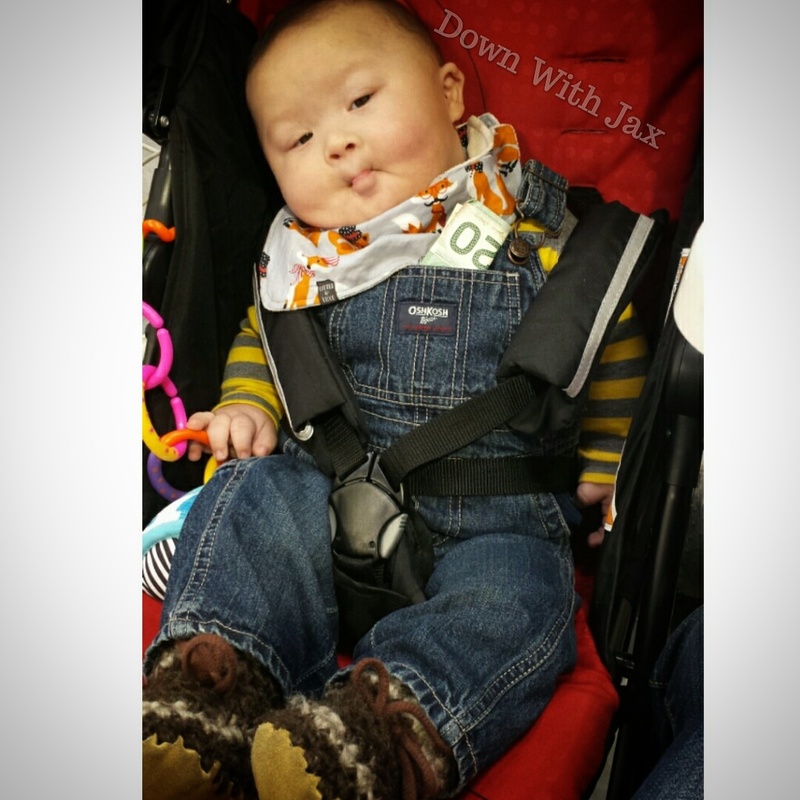 Jaxson started with the sniffles and runny nose at the beginning of the month and it all progressed from there. The sniffles turned into full blown chest congestion and a disgusting cough to go along with it. We had a couple trips to the ER and the doctors as we had no idea if his oxygen sats were dropping when he was sleeping. 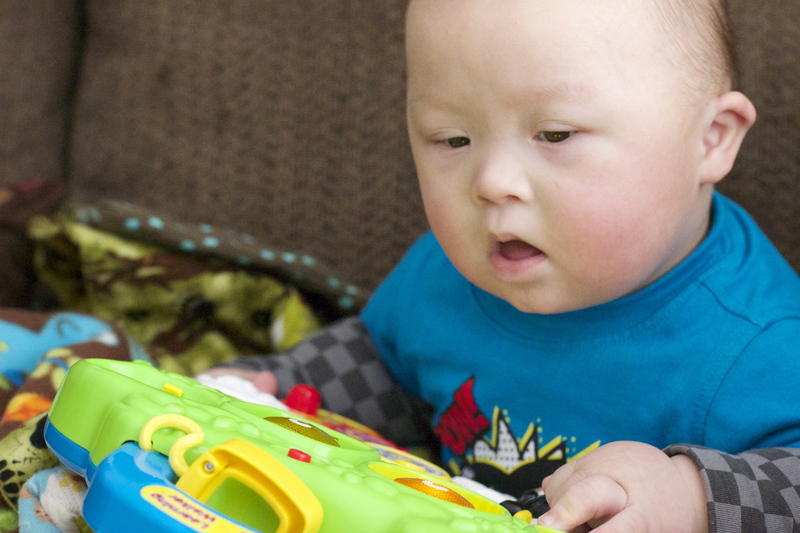 He was diagnosed with RSV, but thankfully he didn’t require a hospital stay. 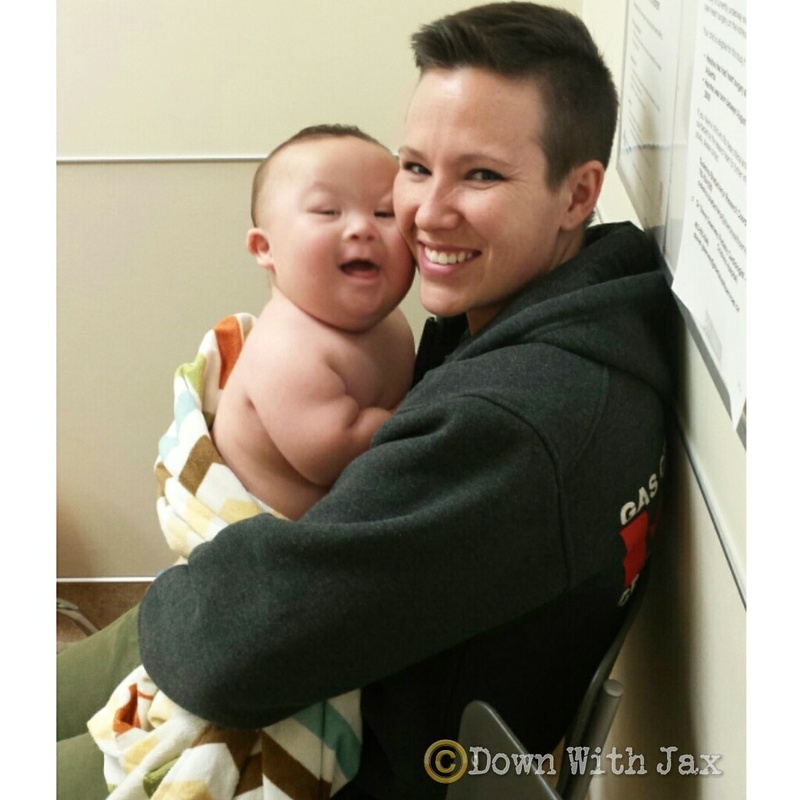 Of course Jaxson being the nice baby that he is, shared his illness with us! RSV sucked big time. Took a solid 3 weeks for Jax to finally feel better. Just as he was getting back to himself the ear infection started. ugh! He has just finished his second round of antibiotics at double the initial dose and I’m not confident that the ear infection is gone 😦 He’s in good spirits during the day, but as soon as night rolls around and he’s put down in his crib he starts pulling at his ear and screaming. So our nights for the last month have been looking like this…. Yup, thats Alex snuggling Jaxson IN his crib!! He has basically slept in bed with us for the last month and a half because of the constant crying in his sleep. Poor guy! We go to see his pediatrician next week and hopefully get a referral to an ENT to get tubes put in his ears. It’s inevitable that it will happen and we would like them done sooner rather than later so his speech and learning isn’t affected. Not to mention the ear infections and sleepless nights for everyone. Despite being sick since new years, he’s been happy, and growing like a weed! We are working hard on learning to crawl and he’s slowly getting it. He’s wanting to move so badly, but it’s a lot of work to get all 24 pounds off the ground! The dogs have been serving as good motivators for him. 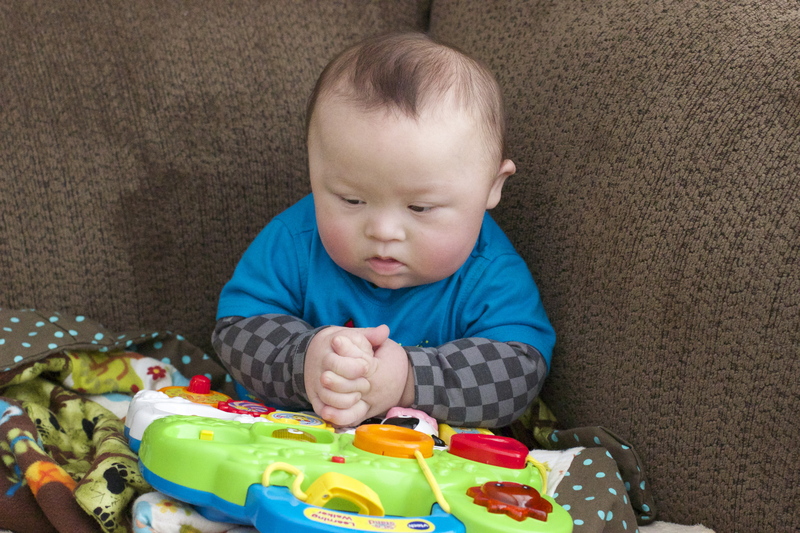 He is also figuring out how to lock his knees up and stand…. And of course he’s our little “chatty Kathy”. 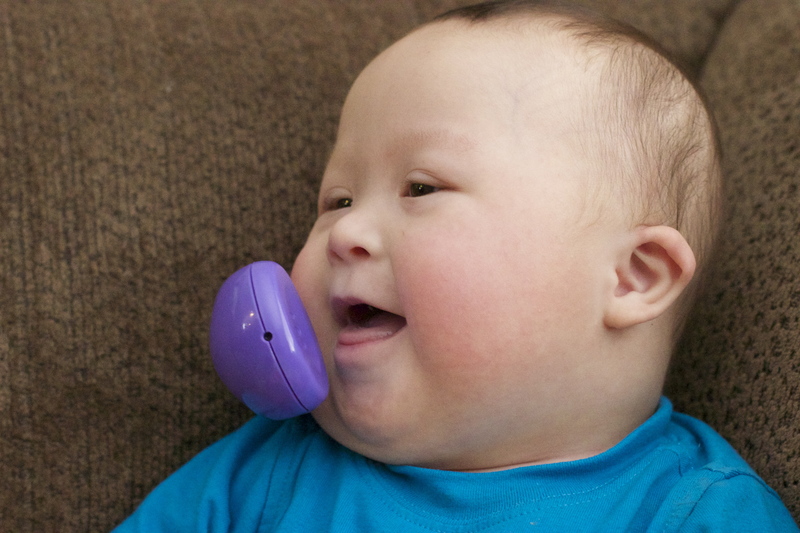 He’s figured out mouth movements and babbles ALL the time! “mamamamama” and most recently “blahblahblahblah”. 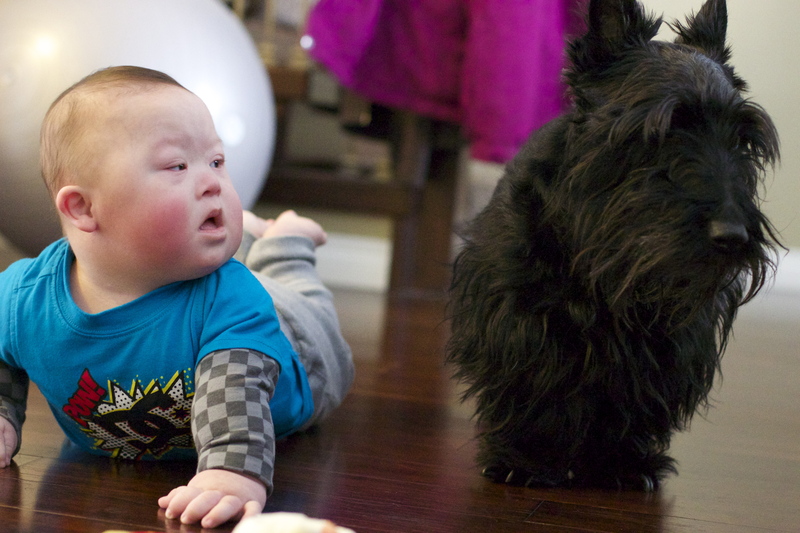 Yesterday we went up to Calgary for a routine follow-up appointment with his cardiologist. On our drive up Alex and I were joking around at how funny it’s going to be to watch them try to get a decent echocardiogram on our little active baby. Well he surprised us all and laid perfectly still allowing the tech to quickly get all of the pictures she needed! Then it was time for that nervous wait to see the doctor…. Jaxson clearly wasn’t nervous, but we sure as hell were! The echo looked great, still a leak with the mitral valve. 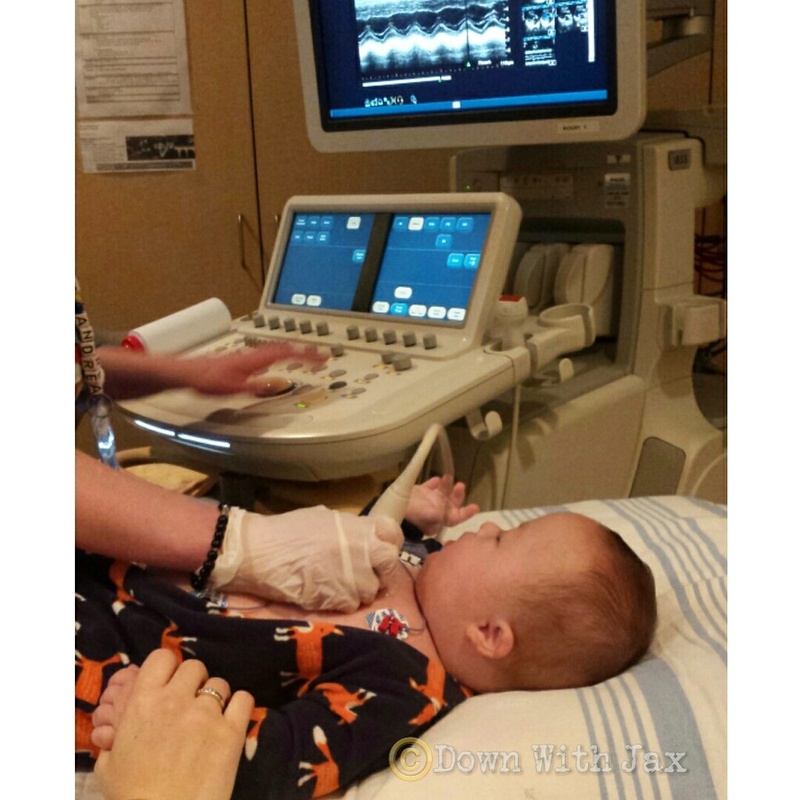 The cardiologist said he would be VERY surprised if that leak ever caused major issues for Jax as he got older. PHEW! So we are back up for another appointment in 8 months, and after that we will be downgraded to yearly check-ups! both my twin boys had t tubes when they were toddlers….actually, they had them a few times….all turned out well in the end and they eventually outgrew all of the ear infections. Hope you two mommies have good sleeps soon! (likewise the wee but mighty Jax). 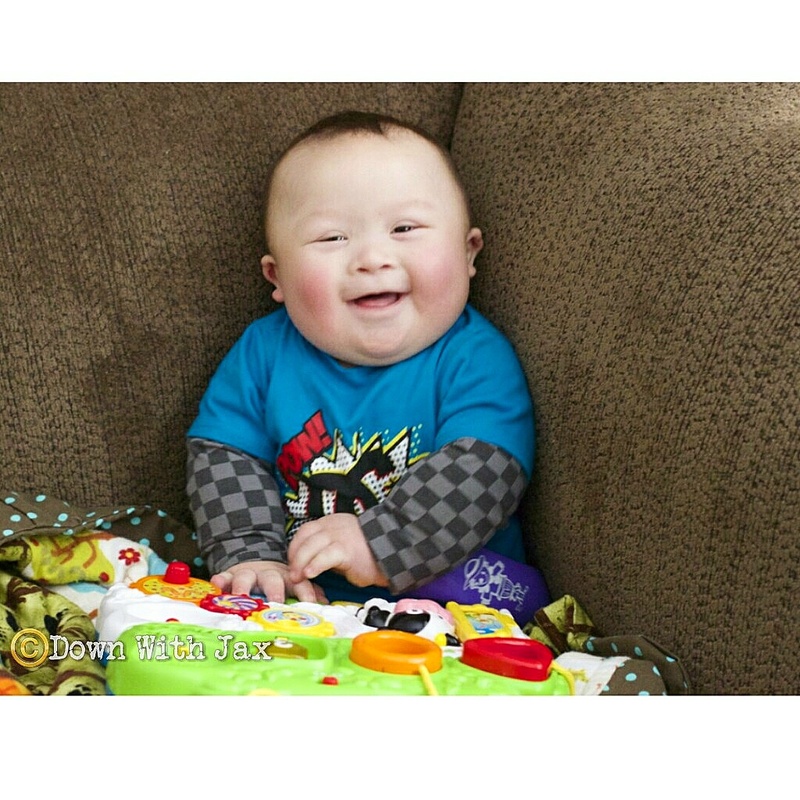 So happy to hear Jaxson is doing so well ! He has such wonderful mommies….I clearly see how loved he is…..thank you for sharing your lives with us. Wishing you both all the best! 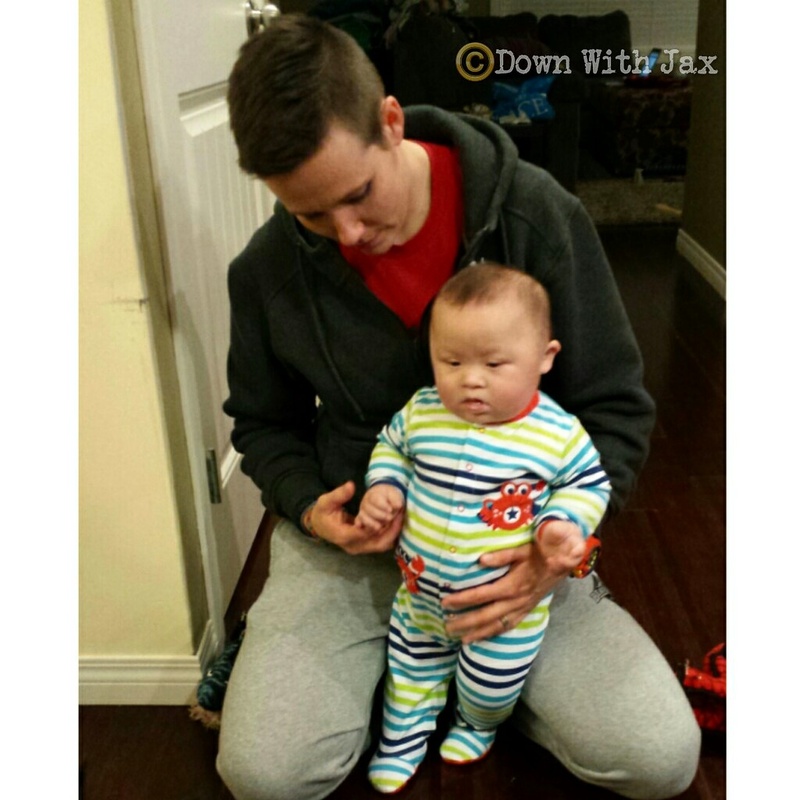 Aw, was just wondering about an update…..love seeing all the pictures and watching Jaxson flourish!!! !